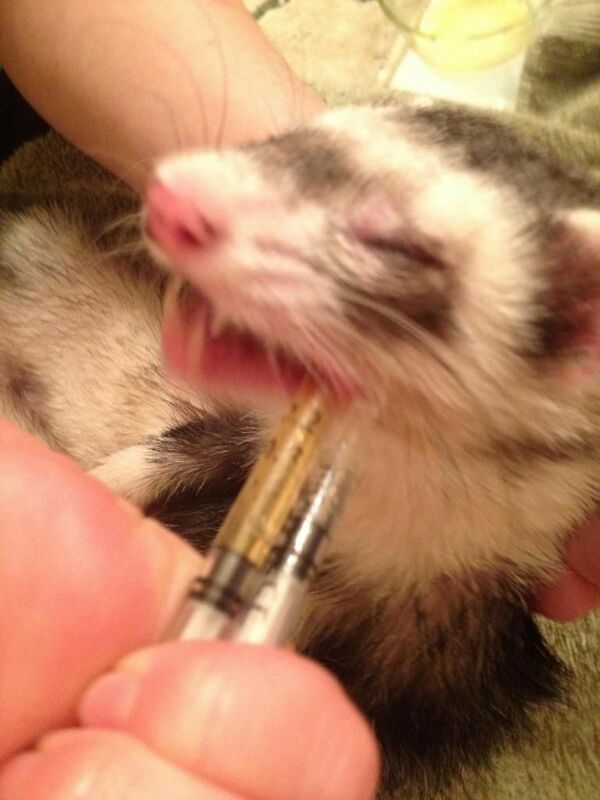 While healthy treats are preferred sometimes you just have to do what it takes to get the meds down so don’t feel too bad if you have to use FerreTone. 4.) 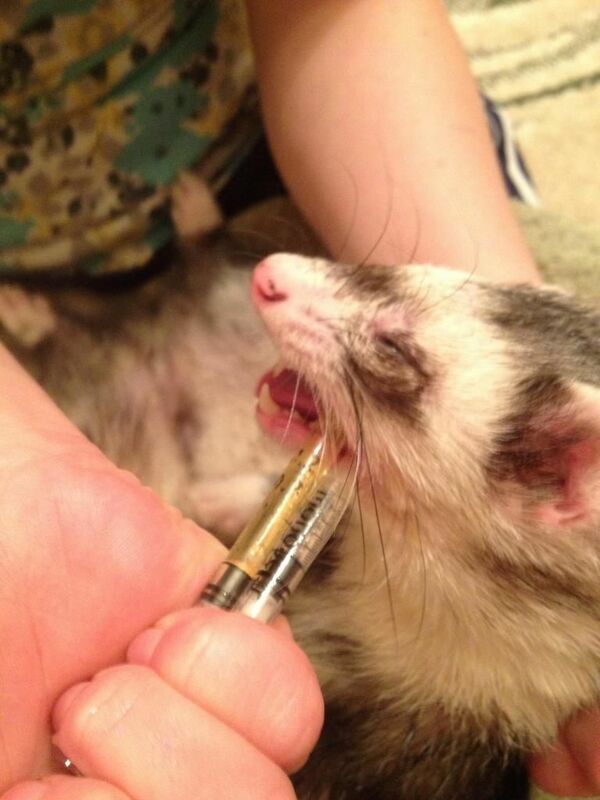 Restrain your ferret in whichever way works best for your ferret. Some use a scruff, some scruff and pin, some burrito wrap. 5.) 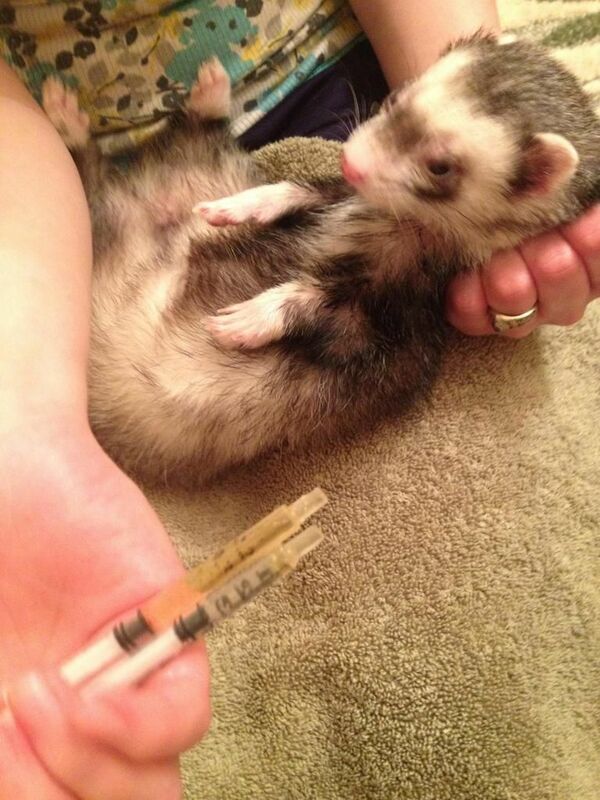 Holding both syringes in one hand, position the syringes so that the MEDICATION syringe is farthest in the CORNER of the ferret’s mouth (closest to the throat) and the treat syringe farther. 6.) Squirt some of the treat first to get the ferret swallowing (this is where the different heights of the syringe plungers is handy). 7.) 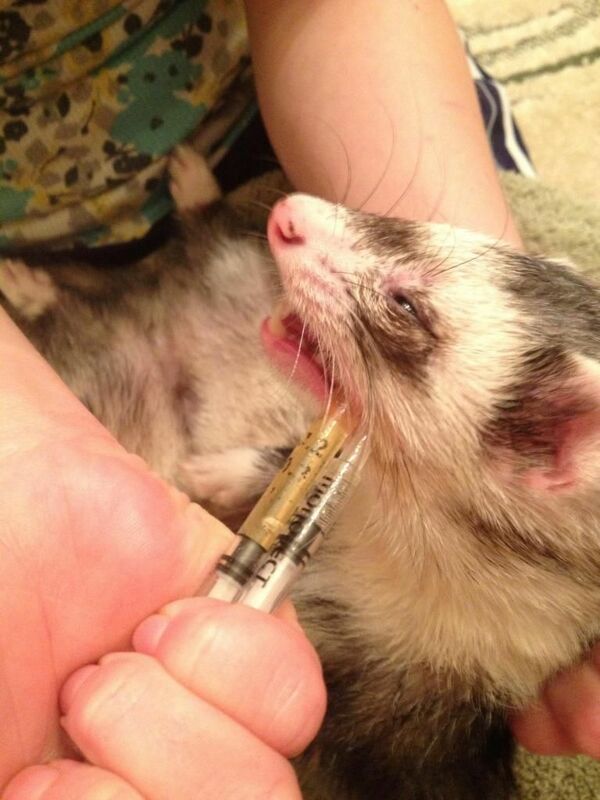 Once the ferret is swallowing the treat, push BOTH syringes so that medication and treat are both dispensed. Some ferrets do best with a slow and steady squirt to allow them to swallow, other ferrets (especially with particularly disgusting meds, like Metro) do best with a fairly fast squirt – not enough to cause them to choke, but fast enough for them to swallow the meds with the treat before they realize what is happening. 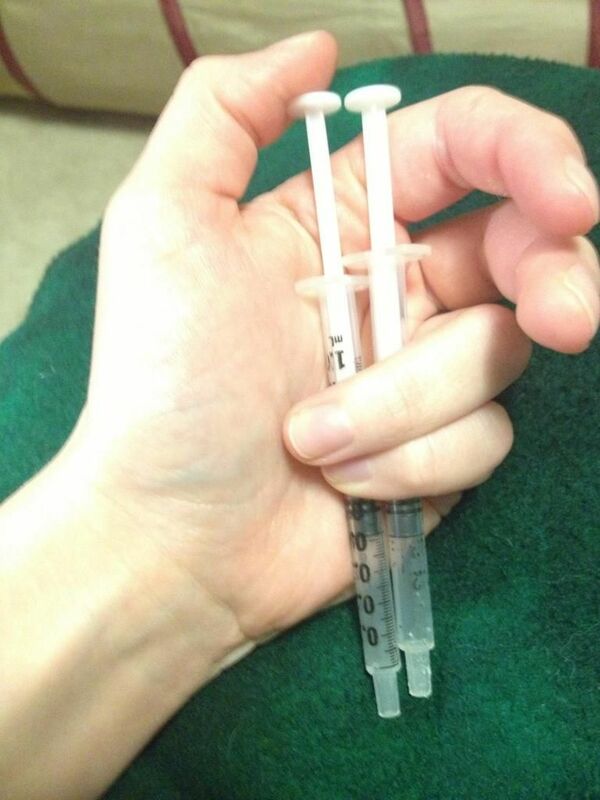 Syringes should be angled back towards the throat so that medication drains into the throat rather than the mouth where they will taste it. Thanks for volunteering as a model Kenai!